In 2009 creative wunderkind J.J. Abrams boldly went where no one had gone before: rebooting the Star Trek franchise (well kind of, anyway.) Simply titled Star Trek, the film blazed a new trail for the original crew of the U.S.S. Enterprise while lovingly paying tribute to what had come before them. Fast-paced, fun and brave, the film was Star Trek with a Star Wars approach. 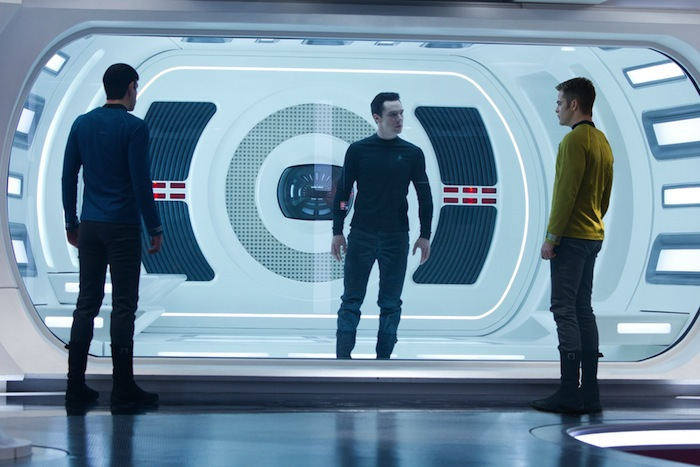 Abrams anticipated sequel Star Trek Into Darkness hit theaters this week, does it stack up? SPOILER ALERT: Yes, yes it does. The film begins en media res with the crew of the Enterprise frantically attempting to save a primitive culture from the imminent explosion of a volcano on their planet. It’s the kind of fast-paced scene Abrams loves opening with. 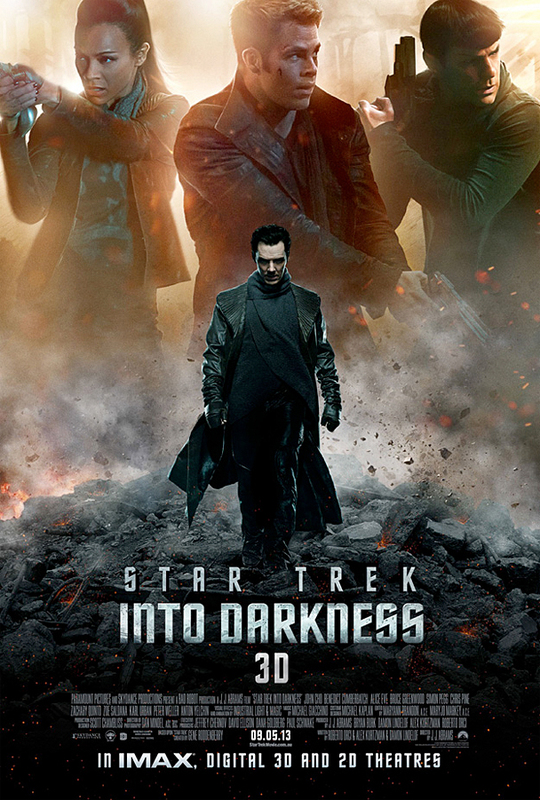 Meanwhile, our mysterious villain John Harrison (Benedict Cumberbatch) begins his one-man-assault on Star Fleet by blowing up an archive in London. After another particularly brutal attack, Kirk takes it upon himself to head the unofficial hunt for Harrison, which leads them to the Klingon home world of Kronos (Oh snap, Klingons!) After an Empire Strikes Back-style air chase, Kirk, Spock and Uhura fight off a handful of Klingons and behold the one-man-army that is Harrison in action. Once they have Harrison in custody, he reveals that Kirk’s assignment to bring him to justice is not as cut and dry as it appears (as these things tend to go.) 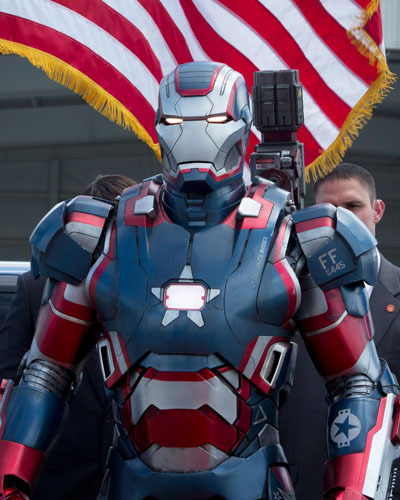 To sum up everything without spoilers, the remainder of the film is a series of tensely-played action scenes, plot twists and endearing character moments that gains strength from the lifeblood of the original series. Should we tell them how awesome this movie is? Star Trek Into Darkness is one of the few films in recent memory that truly commandeered my attention; I never once checked the clock because I didn’t want it to end. It’s just that fun. 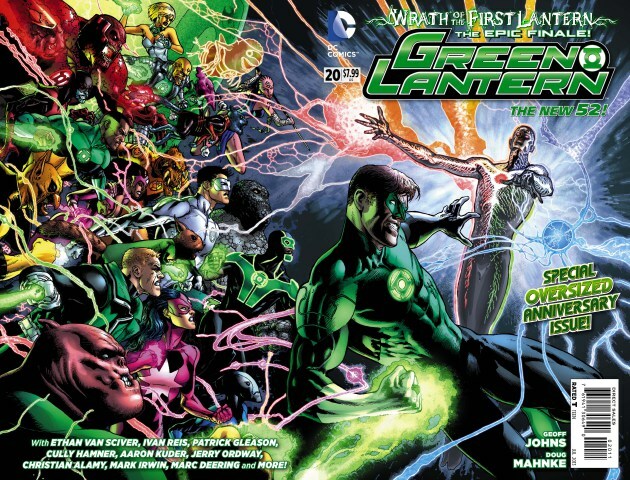 I suppose that the film falls more under the category of sequel than reboot, but it still needs to be said that if you’re going to reboot a franchise THIS is the way to do it. Ideas are replicated and transformed all of the time; it’s human nature. Star Trek Into Darkness doesn’t necessarily reinvent the wheel or do outrageous things with the concepts and ideas that Gene Roddenberry created in 1966, but it brings the reasons why these characters have endured to the forefront. It rides a fine line between homage and gratuitous fan service, maintaining this impressive display of balance throughout the entire feature, with perhaps one minor exception. The script subverts expectations of what Star Trek fans have experienced and revels in pulling the rug out from underneath viewers’ feet. The spotlight is once again evenly shared between Chris Pine and Zachary Quinto as Kirk and Spock, respectively. Pine continues to play Captain Kirk as Han Solo, with a swashbuckling attitude which makes for a more complete character. Quinto takes Spock to some more emotional areas in this film, hitting mostly every mark and allowing us to more easily relate to the logical pointy-eared manbot. Benedict Cumberbatch seethes with anger and venom in his antagonistic role, daring Kirk and moviegoers to underestimate him. It’s also a delight to see the entire Enterprise crew work together more smoothly than they did in the first film and allow for more growth and development. Star Trek Into Darkness is a love letter to Star Trek fans and has an awesome-meter that never settles for anything less than “Batman high-fiveing God on top of a high speed train heading for Castle Fantastico.” Fans of 2009’s Star Trek alone cannot miss this exceptional sequel by J.J. Abrams. Before I dive into the particulars let me tell you upfront: I was no fan of the newest season of Community. Community fans are nothing if not loyal, and while I understand the arguments that many make for Season 4 of the wacky genre-saluting comedy, none of that can reconcile my general ennui with this Dan Harmon-less season. I decided to keep my mouth shut on Season 4 until it was over, so now that it has completed let me mercilessly pass judgment on my old friend of a TV show. 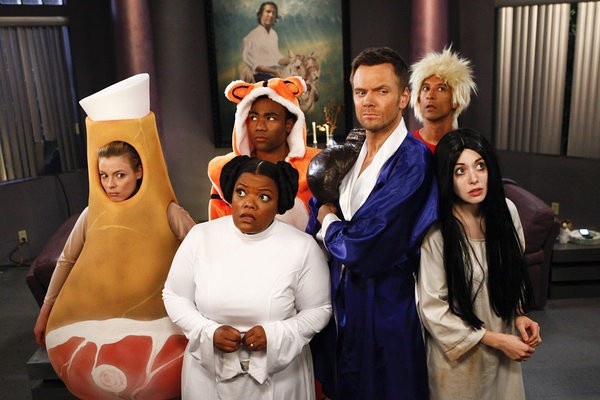 After being delayed and given the meager appeasement of a 13-episode season by NBC, Community’s fourth season was oddly structured and somewhat foreign in its presentation. The season opened with a barely tongue-in-cheek way of new showrunners Moses Port and David Guarascio assuring the audience that this would still be the same Community fans loved; the show that they talked about at excessively to all of their friends that really didn’t want to hear about how great Community was. The season was laid out like a piecemeal blueprint of what (in theory) Community was all about: holiday-based episodes, pop culture devices and goofy costumes and themes aimed at bringing forth personal changes in the characters. So the creative staff threw their best zany ideas out there to see what would stick: a body-switch episode, an all-puppet episode and (way too many) stories about Jeff’s daddy issues. Nuance and subtlety was thrown out of the window, with scripts that were basically shouting the “deeper meaning” of an episode’s plot at the audience. Some of the basics are: “Jeff still has problems connecting with his friends!” “Abed is lovably bizarre!” “Annie is a little girl that wants to marry Jeff!” I’m not sure if this was intended to introduce the characters to new fans or just to prove that the writing staff remembers what happened in the preceding seasons. Apart from the aforementioned “on-the-nose” approach, two things in particular that rang untrue about Season 4 were the show’s handling of Pierce/Chevy Chase’s departure as well as Troy and Britta’s romantic relationship. To the Community’s credit, Pierce has always been a difficult character for the series; as they tried to match Chevy Chase’s comedic style while also integrating him into the larger cast and story. We were all waiting to see how they dealt with Chase quitting the show midseason, which really lead to nothing more than a few one-liner write-offs explaining his absence. In a similar manner of inaction, Community broke up Troy and Britta after barely touching on the new dynamic of their relationship. Having characters enter into a relationship is a risky thing to do for a comedy, but Season 4 merely dipped their toes in the water instead of doing anything truly bold or audacious. I rain down a lot of hellfire in reviews like these, but I wish I didn’t have to. I WANT Community to be good, even if it may not reach levels previously reached. Season 4 did have some amusing jokes here and there as well as storylines with good intentions. 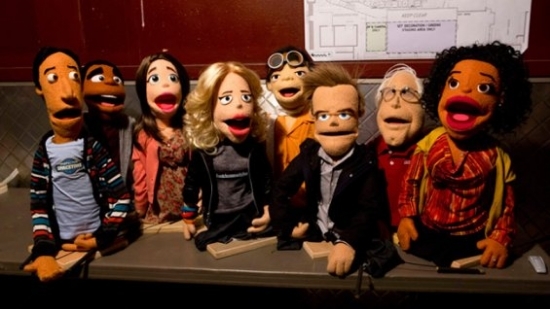 The first song in the puppet episode was reminiscent of the bygone days of “Abed’s Uncontrollable Christmas” and “Regional Holiday Music.” “Basic Human Anatomy” the body switch episode of Season 4, was obviously inherently silly, but it did showcase the acting talents of Danny Pudi and Donald Glover. Overall though Season 4 of Community was an odd combination of slowly-advancing plots and past season callbacks that felt painfully obligatory. Lines and situations from the previous seasons were recreated in an unnecessary bit of fan service that instead morphed into catchphrases. This was the first Dan Harmon-less season of Community so I wanted to honestly evaluate the season based on that, but that judgment will end here. NBC has ordered another (probably shortened) season, which I will still watch, under far less scrutiny. Season 4 of Community had good intentions, but I prefer to see it as a less enjoyable timeline where sometimes funny things happen but mostly they don’t.